The Digitus DS-40310-1 converts your digital HDMI signal to an analog VGA signal. 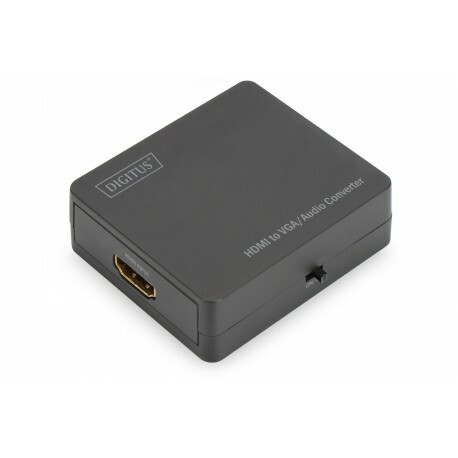 Thus enables you to use modern players also with older VGA displays. 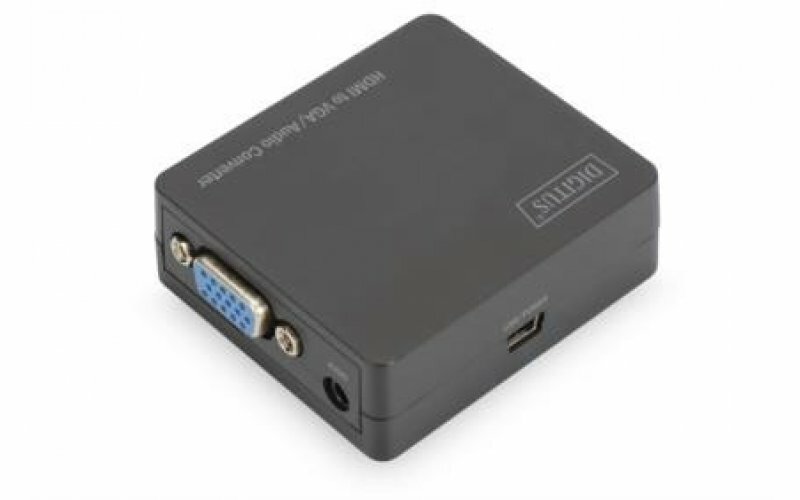 The VGA input just transfer the video signal so the converter has an additional 3.5 mm audio jack port. Any existing audio signal will be converted as well. This allows an extra audio playback by connecting your speaker or your surround system.